Curcumin is versatile; its structure is such that it contributes to multiple but diverse pharmacological properties. 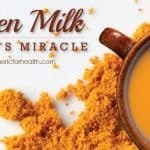 I have covered that bit in Know About Curcumin And 10 Health Benefits. 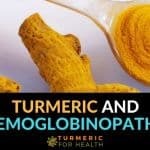 If curcumin is so therapeutic what is stopping us from observing its clinical benefits. One such formulation is Theracurmin. Theracurmin is said to be one of the most super absorbent and highly bio available curcumin supplement. In this post we will be learning about What is Theracurmin?, What is Theracurmin good for, Dosage, Bioavailability etc. If you want to know more about Theracurmin, please use the Table of Contents below to jump to the relevant section. If you are already aware, just check out the best Theracurmin brands and dosage in next section. What are the good brands of Theracurmin? What does research say about health benefits of Theracurmin? If you are looking for a good brand of Theracurmin, then here is our recommendation. Natural Factors is one of the largest manufacturers of nutritional products in North America. Located in Canada, the company has a wide range of products including CurcuminRich Theracurmin. This supplement offers 60mg Theracurmin formulation in vegetarian capsules. Disclaimer: The supplement does contain magnesium stearate, silica and microcrystalline cellulose. Avoid in case of allergies. There is no specific dosage of Theracurmin outlined for any health condition. The lowest dose available is 30mg. A dose of 90-180mg per day is found to be beneficial for reducing pain and inflammation. 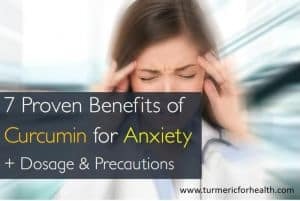 A dose of 60mg of Theracurmin per day seems ideal for health benefits. Doses as high as 200-400mg have been used for certain health conditions like cancer. It is best to consult a health practitioner about dosage of Theracurmin for your health. Theravalues Corporation, based in Tokyo, Japan, have developed Theracurmin. The mission of the company is to improve the physical as well as mental condition of people globally and contribute to healthier life worldwide. They focus on various research aspects such as anti-depression, treatment of metabolic syndrome, anti-inflammatory, antioxidant, anti-cancer, fatigue treatment and also on formulations to improve bioavailability. Apart from Theracurmin, another popular formulation EMIQ –enzymatically modified isoquercitin which is a water soluble quercetin like compound obtained from rutin. They also utilise flavonoids, carotenoids, marine and vegetable extracts as active ingredients. Theravalues works in collaboration with 20+ renowned universities such as Yale University, Kyoto University, University of Texas MD Anderson Cancer Center etc. to develop unique and useful products. 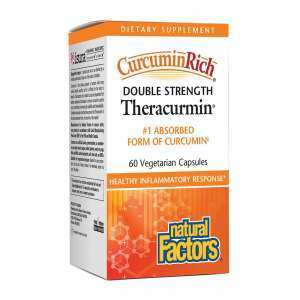 Theracurmin is patented formulation of curcumin developed by Theravalues. If we were to describe it in technical terms, Theracurmin is a ‘ nanoparticle colloidal dispersion’. In simpler terms, this formulation consists of sub-micron particles or particles of size close to nanoscale that are stable and dispersible in water. One of the main issues with curcumin is that it is not water soluble and hence not easily absorbed in the body. Theracurmin is prepared in a way that this curcumin formulation is stable in water. 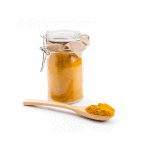 Curcumin extracted from turmeric is mixed with glycerine and vegetable gum, gum ghatti. Ghatti trees (Anogeissus latifolia) are found in Asian countries like India, Nepal, Myanmar etc. and their exudate contains polysaccharides that are dissolved in water to form gum ghatti solution. This mixture is then prepared into nanoscale particles which are a stabilized formulation called Theracurmin. Theracurcumin contains 10% w/w curcumin, 2% of other curcuminoids, 46% glycerine, 4% gum ghatti and 38% water. 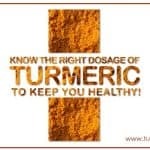 Each capsule of Theracurcmin offers 30mg curcumin. Theracurmin is stable and soluble in water. It is stable when exposed to light, making it convenient to store in transparent bottles. Theracurmin is stable to heat as evidenced by no change in curcumin ratio when exposed to temperature 95 degree Celsius and 120 degree Celsius. This makes it suitable for use under pasteurization conditions in beverages and foods. A couple of scientific studies compare the bioavailability of Theracurmin with unformulated curcumin and other curcumin formulations. Let’s go through these studies and find out how bioavailable Theracurmin is. The first study regarding Theracurmin’s bioavailability compared its absorption to unformulated curcumin. In an animal model, oral administration of curcumin was found to be 40 times more absorbable than standard curcumin based on area under curve concentration. 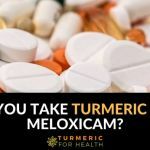 14 individuals were assigned to two groups and were given either 30 mg of Theracurmin or unformulated curcumin in liquid form. They were asked not to take any medications before or during the study. Blood samples were collected at regular intervals to assess curcumin concentrations. 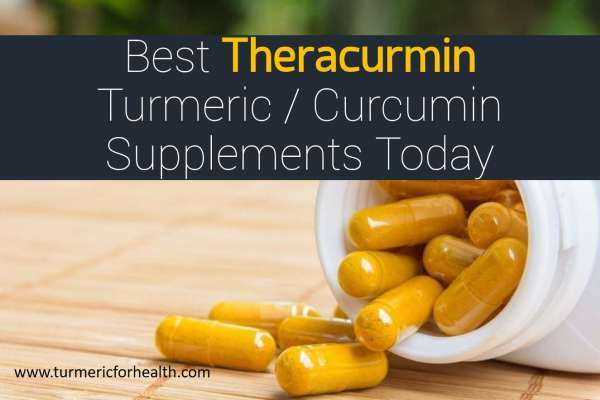 It was observed after 24 hours that area under curve concentration of Theracurmin was 27 times higher than unformulated curcumin. Cmax for Theracurmin was 29.5 ng/ml, compared to 1.8 ng/ml for unformulated curcumin. Peak concentration of Theracurmin was reached in 1 hour compared to 6 hours for unformulated curcumin. Kanai et.al conducted a study to examine safety and efficacy of Theracurmin at higher doses. 6 healthy individuals were enrolled for the study. At the first week they were given 150 mg Theracurmin single dose. 2 weeks later they were given a single dose of 210mg. Curcumin levels in the blood were examined at regular intervals. Concentration max for 150 mg was 189 ng/ml and for 210mg was 275ng/ml. The half life was 9 hours for 150mg and 13 hours for 210mg. One individual experienced diarrhoea after consuming 150mg Theracurmin; no other toxicities were experienced. Researchers concluded that Theracurmin can safely increase plasma curcumin levels up to 210mg without saturating absorption system. 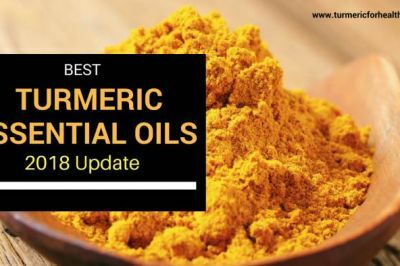 Researchers conducted a study to assess the bioavailability of Theracurmin with other curcumin formulations namely BCM-95 and Meriva. BCM-95 is a curcumin formulation which increases its bioavailability by combining curcumin with turmeric oil. Meriva is a phytosomal formulation of curcumin that involves curcumin-lecthin mixture; lecithin is a fatty substance derived from egg yolk or even plant sources. 9 healthy individuals were recruited for the study and assigned to 3 groups. In each group 3 types of curcumin capsules were given at every 7 days. Individuals were asked not to consume curcumin containing food for more than 7 days prior to the study. Researchers do mention that no attempt was made to unify the dosages as there was chances of degradation of curcumin when standardizing the dosages. Therefore they used dosages that are recommended amounts for commercial use and are also used in studies. The maximum curcumin concentration for Theracurmin was found to be 10.7 times higher than BCM-95 and 5.6 times higher than Meriva. The area under concentration for 24 hour period for Theracurmin was 11 times higher than BCM-95 and 4.6 times higher than Meriva. Researchers concluded that Theracurmin has higher absorption efficiency than other curcumin formulations. However, since equivalent doses have not been utilised it is hard to compare Theracurmin with other formulations. Also, the dosages used indicate that one may require to more number of capsules of Theracurmin compared to other formulations in order to obtain a therapeutic effect. Theracurmin is stable to heat and water soluble; hence it is suitable for inclusion in food preparation and beverages. A study was conducted to check the absorption efficacy of Theracurmin in beverages. 24 individuals were recruited for this study. 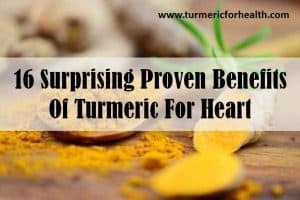 They were given either of the four drinkable curcumin preparations which included Theracurmin and 3 other drinkable curcumin preparations available in Japan. After 8 hours the concentration of Theracurmin was 1.5 to 4 times higher than that of other curcumin beverages. Also, the maximum curcumin concentration of Theracurmin was 1.8 to 3.8 times higher than other curcumin beverages. The conclusion was that inclusion of Theracurmin in beverages increases absorption efficacy in comparison to standardly available curcumin beverages. 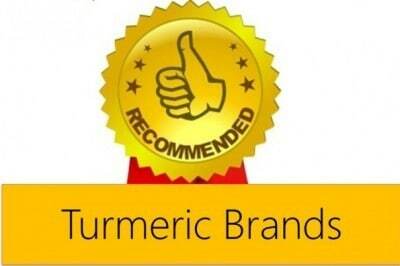 Research shows that Theracurmin is 27 times more bioavailable than unformulated curcumin. Adequate data is not available to suggest whether Theracurmin has higher absorption efficacy than other curcumin formulations. Various research studies have investigated the therapeutic benefits of Theracurmin. Safety studies have found Theracurmin to be safe at doses of 200-400mg in patients with pancreatic cancer and taking gemcitabine chemotherapy. However abdominal pain has been noted as an adverse effect in this study and no significant benefit of therapy was observed. A study published in Frontiers of Oncology, 2013 demonstrated that exposure of esophageal cancer cells to Theracurmin decreases their proliferation and growth. 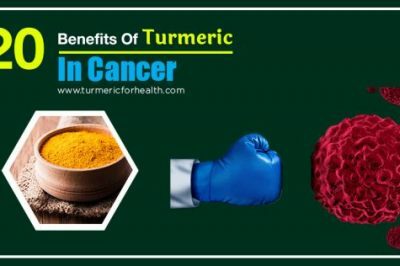 Also results of the study indicate that combination of immunotherapy with curcumin (Theracurmin) has a more potent anti-cancer effect in esophageal cancer. Combination of Theracurmin and erlotinib (a chemotherapeutic drug) is found to reverse drug resistance in lung cancer and has a synergistic anti-cancer effect. Studies indicate that Theracurmin has anti-cancer effect and can reverse drug resistance in cancer; however its effects still need to be proven by clinical trials. An animal study indicates that Theracurmin can improve recovery of heart tissue after heart attack. A study published in American Journal of Hypertension, 2012 demonstrated the positive effect of curcumin and exercise on vascular health. Menopause and age related changes can affect heart health, so the study was designed to check if curcumin increased the benefits of exercise on heart health. 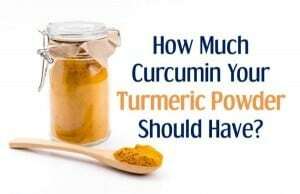 Curcumin in the form of Theracurmin was given at a dose of 150mg/day for 8 weeks. It was observed that brachial systolic blood pressure reduced for both exercise groups while aortic systolic blood pressure reduced significantly only in curcumin group. Results indicated that curcumin and exercise combination improved heart health in postmenopausal women better than monotherapy of either treatments. Another study by same group of researchers demonstrated that curcumin (Theracurmin) is as good as aerobic exercise in improving vascular health in postmenopausal women. 8 week combination of curcumin (Theracurmin) and aerobic exercise is found to improve other markers of cardiovascular disease in postmenopausal women. Theracurmin supplementation is beneficial in counteracting age related heart health decline. It is found to be as effective as exercise in improving vascular health. Oxidative stress is imbalance between prooxidant and antioxidant agents in the body and this phenomenon is commonly observed in neurodegenerative diseases like Alzheimer’s and Parkinson’s. 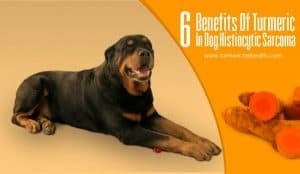 In an animal model of oxidative stress in neurodegenerative diseases, Theracurmin treatment was found to increase antioxidant defences and reduce oxidative stress, thus protecting brain tissue. Theracurmin may help boost antioxidant defences in neurodegenerative diseases like Parkinson’s and Alzheimer’s. Via an animal study, curcumin in the form of Theracurmin is found to reduce oxidative stress and inflammation in running induced muscle damage. A study published in International Journal of Sports Medicine,2014 examined the effect of curcumin on exercise induced oxidative stress. The dose of curcumin (Theracurmin) was 90mg given 2 hours prior and after the exercise. Exercise involved walking or treadmill for 60 minutes. Blood samples were taken to observe effect on oxidative stress parameters. It was observed that oxidative damage parameters were higher after exercise in placebo group, but not in single curcumin and double curcumin dose groups. Antioxidant defences after exercise were higher in both curcumin groups indicating that curcumin in the form of Theracurmin can counteract exercise induced oxidative stress. Tanabe et.al conducted a study where they showed that Theracurmin can benefit in delayed onset muscle soreness and exercise induced muscle damage. 14 untrained individuals participated in eccentric exercise. They took 150mg Theracurmin orally before and 12 hours after the exercise. Continuous exercise for an untrained individual can lead to muscle soreness, reduced output and strength. The study demonstrated that this decrease in strength as a result of continuous exercise was minor in curcumin group compared to placebo group, indicating that curcumin enhanced muscle recovery. Also creatnine kinase, indicative of muscle damage, was reduced in curcumin group. These findings were not sufficient to prove that curcumin counteracts muscle damage completely after eccentric exercise but definitely it does attenuate some signs of muscle damage. Theracurmin supplementation can help enhance and hasten muscle recovery after exercise. Researchers at Kyoto Medical Centre conducted a clinical trial to assess the effect of Theracurmin treatment in knee osteoarthritis patients for 8 weeks. 50 patients suffering from moderate to severe osteoarthritis and above the age of 40 years were enrolled for the study. They were given either placebo or 180mg Theracurmin everyday for 8 weeks. After 8 weeks of treatment, knee pain was reduced in Theracurmin group compared to placebo group. Also Theracurmin reduced the dependence on non steroidal anti-inflammatory drugs. Theracurmin treatment is found to reduce pain and NSAID dependence in osteoarthritis. 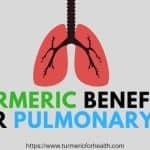 Now this study does not typically focus on COPD but on protection of heart health in COPD by curcumin. Individuals with stage I-II COPD were enrolled in the study and assigned to receive either 90mg Theracurmin or placebo for 24 weeks. No significant differences was seen in placebo and Theracurmin group. Changes in blood pressure, cholesterol, triglycerides were similar for both groups. However Theracurmin significantly reduced AT-LDL level in comparison to placebo. AT-LDL or α1-antitrypsin–low-density lipoprotein is a modified lipid or fat carrying protein that can accelerate progression of atherosclerosis. Thus researchers concluded that Theracurmin can reduce risk of atherosclerosis in mild COPD patients. Theracurmin therapy reduces risk of atherosclerosis in mild COPD patients. A recent experimental study published in Molecular nutrition & Food research, 2017 demonstrated that curcumin in the form of Theracurmin can prevent diabetes. Glucagon like peptide-1 is a biological agent produced in the body that stimulates secretion of insulin and helps in balancing glucose levels. This animal study demonstrated that curcumin lowers blood sugar in diabetes by stimulating production of GLP-1 which in turn stimulates insulin production. Researchers commented that use of curcumin during diabetes can reduce the need for other anti-diabetic medications and also help in diabetes prevention. Theracurmin has a blood sugar lowering effect that can aid in treatment and prevention of diabetes. Cardiac fibrosis is a common complication observed in individuals suffering from chronic kidney disease. Cardiac fibrosis is thickening of the heart tissue. In this animal study it was observed that treatment with Theracurmin, improved markers related to heart damage caused by kidney failure and it also reduced cardiac inflammation related parameters. Experimental evidence demonstrates that Theracurmin can attenuate heart related complications caused by chronic kidney disease. In the study assessing bioavailability of Theracurmin in comparison to unformulated curcumin, a parallel study was conducted to examine the detoxification properties of Theracurmin in face of excess alcohol consumption. Acetaldehyde is a by product of alcohol and plays some role in hangover symptoms. 7 healthy individuals participated in the study and were asked to consume same amount of alcohol. After half an hour some were asked to consume Theracurmin containing beverage while some were asked to consume water. Beverage containing 30mg Theracurmin reduced blood acetaldehyde concentration by 25% compared to water consumption. This indicated that Theracurmin can affect alcohol metabolism and help in detoxification of body after excess alcohol consumption. Theracurmin can enhance detoxification process of the body in face of alcohol intoxication. Theracurmin is found to improve liver health and function. As per the abstract published on Theravalues website, healthy volunteers having both- normal as well as high values of markers of liver function were enrolled in the study. 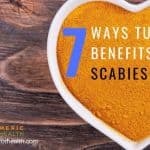 They were treated with a dose of 180mg curcumin per day for a month. Significant reduction in markers of liver damage were observed and these effects were more pronounced in those with higher values than normal values. On a biochemical level, curcumin improved antioxidant defences and thereby improved liver function. Theracurmin supplementation can improve liver function and protect liver health. Daily consumption of Theracurmin is found to protect the skin from UV rays and improve skin health. A dose of 60 mg daily is found to improve moisture levels of the skin while a dose of 180mg daily is found to reduce age spots. Theracurmin consumption improves skin health and reduces signs of aging. Like any health/dietary supplements, Theracurmin is not regulated by FDA. If allergic to turmeric or ginger family, avoid curcumin supplements. Starting with high doses of curcumin or taking curcumin for the first time may cause gastric discomfort such as bloating, diarrhea etc. This can be minimised by starting with small doses and then increasing gradually. Also avoid taking turmeric supplements on an empty stomach as they may trigger acid reflux like symptoms in those susceptible to it. 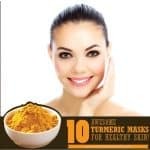 Discontinue turmeric supplements 2 weeks prior to surgery to minimize bleeding risks. 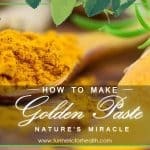 Intake of turmeric as a spice should be limited in kidney stones and gout due to high oxalate content. If needed for therapeutic purposes, curcumin supplements are safe in this case. Curcumin interferes in activity of drug metabolising enzymes. Therefore it is suggested to maintain 3-4 hour gap between taking curcumin and any medication. UMM states that curcumin can have drug interactions with blood thinning medications, stomach acid reducing drugs, blood sugar lowering drugs. If taking any medications, it is best to consult a doctor before taking curcumin supplements. 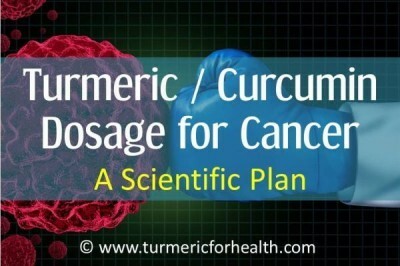 If taking cancer therapy consult your health practitioner before starting curcumin. Theracurmin is an optimised curcumin formulation but whether its absorption is significantly superior to standard curcumin with bioperine preparations is still a question. Also it is slightly expensive curcumin formulation. However for certain conditions like osteoarthritis and heart health Theracurmin has proven to have beneficial effects. If you have tried Theracurmin, do let us know your experience and leave your comments below. Like always, our first recommendation would be using turmeric as a spice for health. 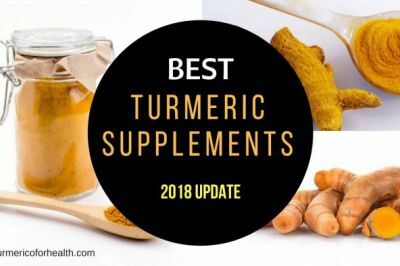 However we have shortlisted these brands of turmeric/curcumin supplements for readers facing aggressive health conditions that require higher and more bioavailable forms of curcumin. Also we suggest consulting a health practitioner before opting for curcumin supplements for any health condition. 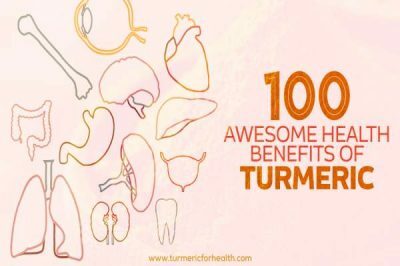 Turmeric as a spice (powder or root) always has more to offer than any supplement based on it and we wholeheartedly recommend natural Turmeric for Health! What is the best brand to use? Hi. 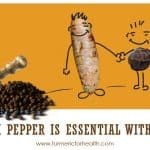 Theracurmin is already optimized for increasing curcumin’s bioavailability so there is no need to take it with black pepper.